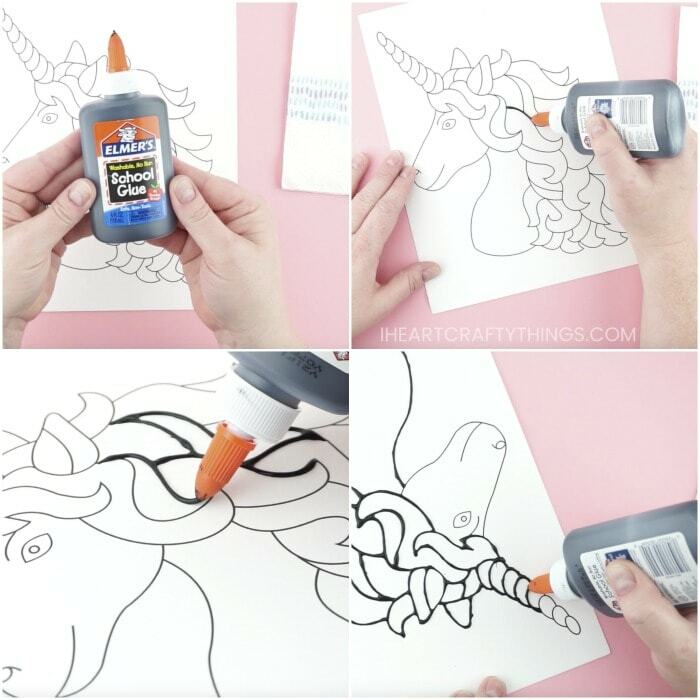 Black glue and unicorns unite to create this stunning unicorn art project that kids will love! 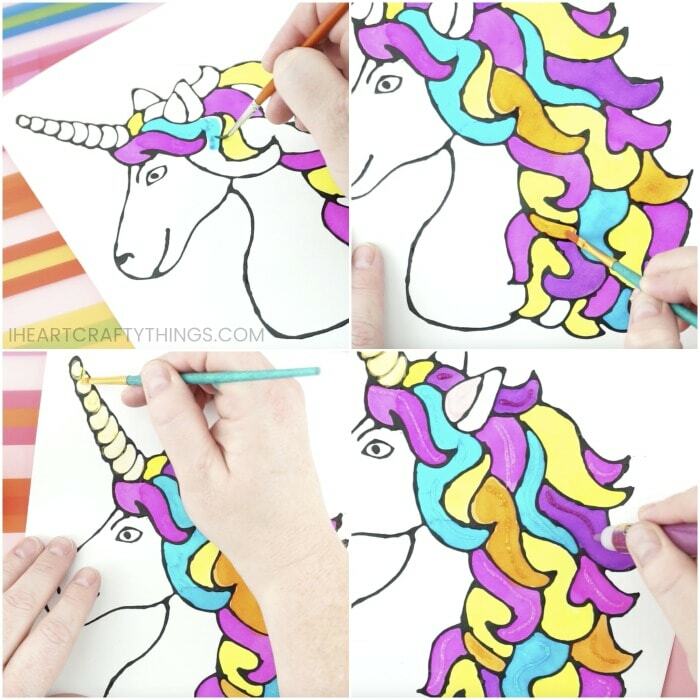 This colorful art project is perfect for unicorn fans and makes a perfect summer afternoon art project. 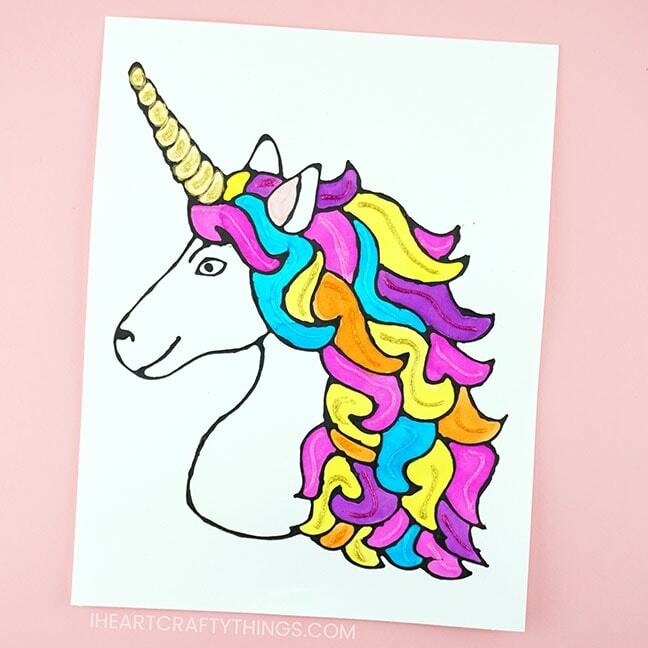 Our printable unicorn template makes prep time a cinch so go grab your supplies and great ready for some magical crafting time. 1. Begin by mixing together your black glue. To do this, squeeze a generous amount of black acrylic paint into a bottle of Elmer’s School Glue (We start with 1 Tbsp.). Use a wooden skewer or the end of a paintbrush to stir and mix the black paint into the school glue until it is thoroughly incorporated and the glue is black. After mixing our glue together we like to give it a good shake to further incorporate it. 2. 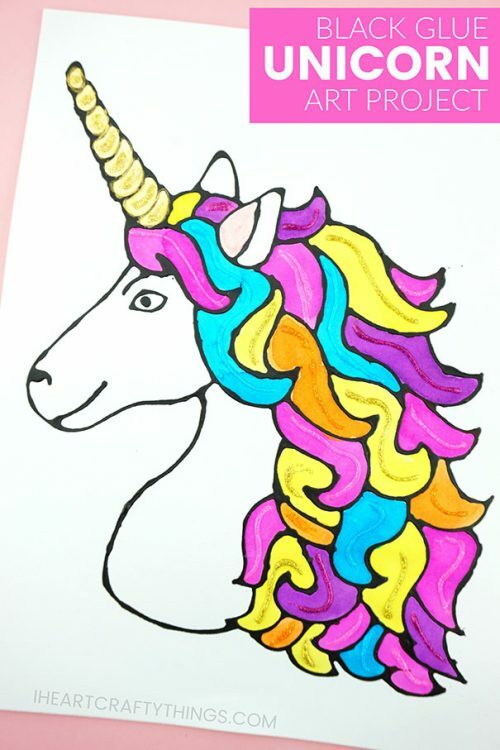 Download and print our black glue unicorn art project template on mixed media paper. 3. Before you begin tracing the unicorn with your black glue, test out the glue first on a napkin or separate piece of paper. Create some lines to experiment with the flow and spread of glue. Once you’re happy with the way the glue flows, use a steady hand to trace the lines of your unicorn template with your black glue. 4. Leave the black glue to completely dry for several hours or overnight. This step is a MUST because if you paint your picture prior to the black glue drying your watercolors will mix with the black paint leaving you with a mess. 5. Once the black glue is completely dry, paint your unicorn art project template with watercolors. Our absolute favorite is liquid watercolors but we’ve also recently tried out some Life of Colour watercolor pens that would work great for the detailed unicorn template. Find them on Amazon HERE and use code IHEART876 for 20% off your order. 6. Paint the section of the unicorn horn with gold tempera paint. You could also use silver or any color of your choosing. 7. 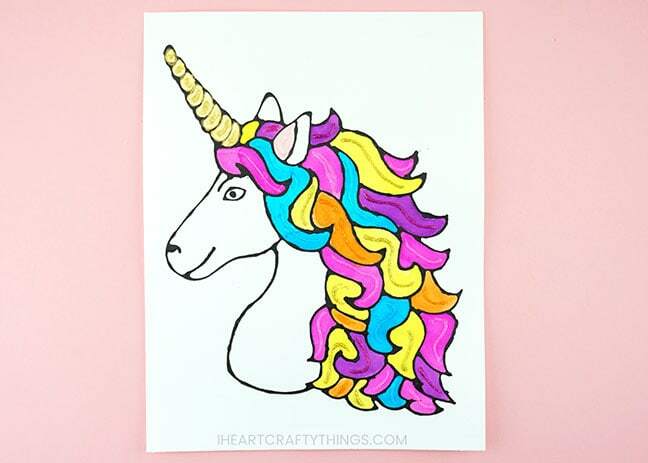 To finish your unicorn art project use coordinating colors of glitter glue and add lines in the different sections of hair and on the horn to add sparkly, glittery details. 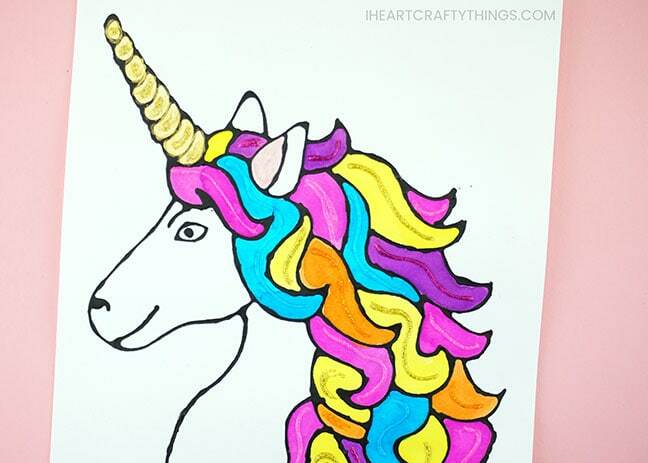 This simple DIY Unicorn Card is a fabulous way to wish someone a magical day. Our template makes the card super simple to assemble. Giddy up for some serious fun with these playful unicorn finger puppets. Kids will love putting on their own unicorn puppet show. Whether you make these for Christmas or for a birthday party, these unicorn ornaments are sure to be a hit! 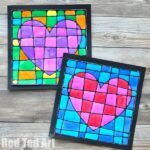 Make an afternoon of flying kites by coming home and making one of these colorful black glue kites. Perfect for a windy spring or summer day. This black glue shark art project is another great project for summer. Check out more black glue ocean ideas at the bottom of that tutorial. Adding glitter glue to this black glue galaxy craft was a perfect way to add some outer space sparkle to the art project. Grab one of our free templates to make one today! 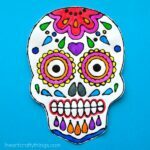 Oh my goodness……the snake paper straw and the black glue unicorn projects are just the crafts I plan to do for our family reunion next month! 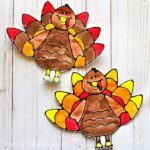 They are wonderful…..easy for little hands to do, yet so breath-taking beautiful!! Thank you! I’m more than thrilled!